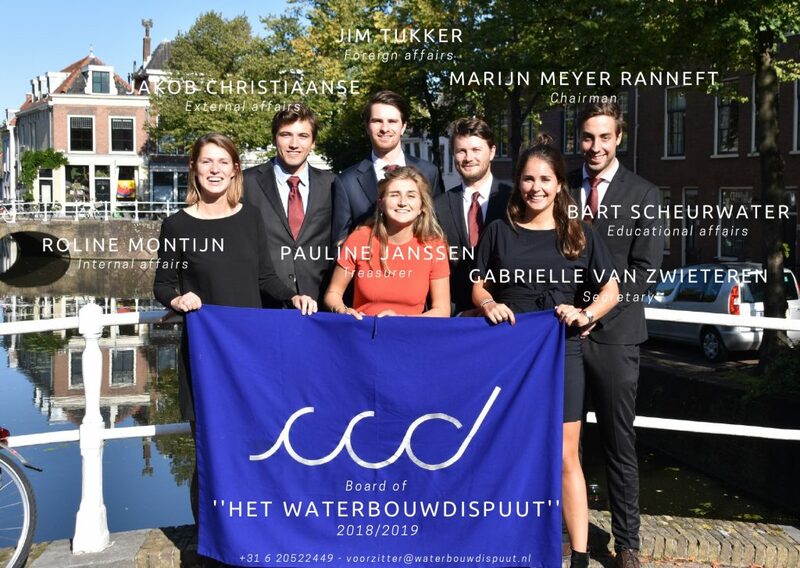 Every year, 7 Hydraulic Engineering students dedicate themselves to Het Waterbouwdispuut by becoming a board member. Every board member has a specific task that contributes to the main goals that our student association has, and is seated for one entire academic year starting from September up until June. Every year we try to improve our association by adding specific yearly goals that are to be achieved that academic year. In this way we aim to be as dynamic as possible, being able to adapt to and anticipate the changing demands of our Hydraulic Engineering students. A new branding design incorporated in all promotional material necessary for events. A new introduction programme in September for new students where more focus will lie on the different specialisations the Master Programme holds. A more intensive first few days, with both informative sessions as well as social ones. Het Waterbouwdispuut is the association for all Hydraulic Engineering students. The entire Master Programme is in English and with the growing amount of international students, the spoken language will be English at all activities and events, as well as the communication with our students. More collaboration with the Hydraulic Engineering department and improvement of the (informal) contact between students and the department. Het Waterbouwdispuut 2018/2019 will commit to optimising communication and event management towards our students. Thus it will be easy for students to find out about where and when events are hosted.